Get the latest news on Upon Wings! Simply enter your email address below. 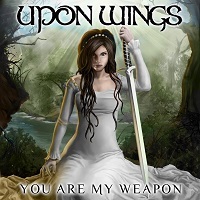 Upon Wings is operatic rock and metal with a deeply classical influence. Soli Deo Gloria. Thank you so much for thinking of me on my birthday! Happy Birthday to the amazing @AnneUponWings! ???????????????????? Believe it or not, we released our music video for “You Are My Weapon” a little over a year ago! Thanks so much for your support and endless <3. It means so much. We’re very excited about the future and can’t wait to share more with you. Follow Upon Wings on Facebook here, Instagram here and Twitter @UponWings. Anne Autumn is on Snapchat, too: @AnneUponWings. Thanks for the Awesome Birthday Wishes for Anne! Thanks so much for all the lovely birthday wishes!! You guys rock!! 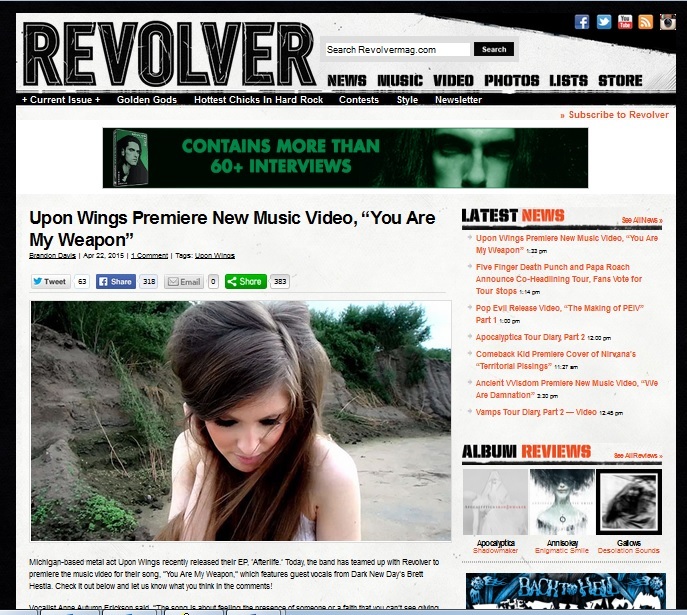 Revolver Magazine Premeires ‘You Are My Weapon’ Music Video! Big thanks to Revolver Magazine for premiering our music video for “You Are My Weapon!” Watch the video via this link. Thanks so much for your support, loves!